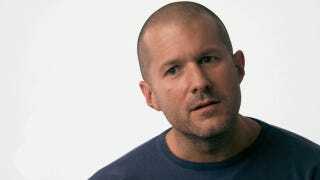 Last week, Business Week ran a fairly boring interview with Tim Cook, Jonathan Ive and Craig Federighi. Now, though, it's released a longer interview with just Ive and Federighi, which is kinda interesting. Here are some of the highlights. I feel that it’s lovely when as a user you’re not aware of the complexity. I think we feel our job is to try to solve tough, difficult problems, but we don’t make the complexity of the problem apparent in its resolution. I mean, there are so many examples of objects or solutions or software where they solve difficult problems, but goodness, it’s really clear how difficult the problem was they’ve solved. [Y]ou decide you want to do something like, “wouldn’t it be great if you could use your finger to unlock your phone or to make a purchase?” It sounds like a simple idea. But how many places could that become a bad idea because you failed to execute on it? Well, that would be worse than never having done the feature at all if you did those things, right? And so you take that all the way to that spectrum, and we said, “My gosh, we’re going to have to build in our silicon a little island, a little enclave that’s walled off so that literally the main processor—no matter if you took ownership of the whole device and ran whatever code you wanted on the main processor—could not get that fingerprint out of there. Literally, the physical lines of communication in and out of the chip would not permit that ever to escape. It was something we considered fundamental to solving the overall problem. When we were first working together—and this is a great example of collaboration from many, many years ago—but on multi-touch. That was originally intended for what was to become the iPad. But I think one of the things that became clear was that we would need to try to explain the value of a whole new method of interaction and a whole new category of product. So one of the reasons that we focused on the phone was that there was no persuasion necessary to describe the value of the phone. You know, it was a market that existed, and people knew about the phone. One of the things that we were interested in doing is, despite people talked about this being “flat,” is that it’s very, very deep. It’s constructed and architected visually and from an informational point of view as a very deep UI, but we didn’t want to rely on shadows or how big your highlights could get. Where do you go? I mean, there is only so long you can make your shadows. It wasn’t an aesthetic idea to try to create layers. It was a way of trying to sort of deal with different levels of information that existed and to try to give you a sense of where you were. OK, I’m a technology freak, but I think probably if someone mapped my brain, you would find that there were moments when I lit up the love pattern in my neurons in association with our products. I mean, literally, there is love, and I think that is true of many of our customers. I think when we build something we love and that others love, then we have done our job.